After the US Department of Education's NCFMEA recognized our accreditation as comparable to the LCME, we received a number of questions about Title IV and future plans for Trinity. 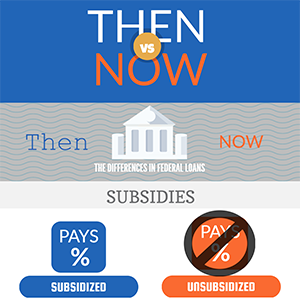 While we can't say it won't ever be an option for us, we are not currently offering Title IV loans for our students. The reasons why are fairly straightforward (it would limit access to Trinity for US students). There are some misunderstandings out there about how Title IV actually works, so we're going to dive into the entire situation here, today. 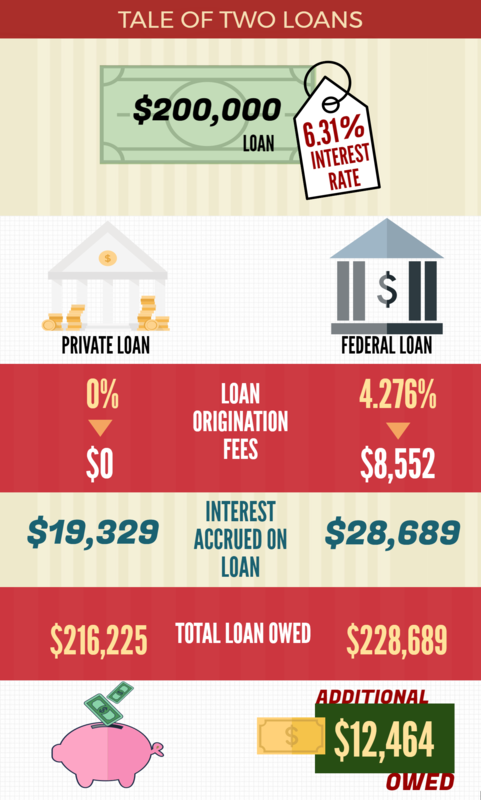 We're also going to cover our newly improved student loan program, and how it's actually a better deal than the current federal loans out there. Ready? Let's go. Last year, St. Vincent and the Grenadines received formal recognition from the US Department of Education’s NCFMEA as having medical education standards comparable to those of the LCME in the United States. This recognition allows medical schools in St. Vincent and the Grenadines that are accredited by CAAM-HP to apply for Title IV recognition and federal student loans for US citizens from the Department of Education. As the only medical school accredited recognized by the US Department of Education in St. Vincent and the Grenadines, we have already been asked by prospective and existing students about our federal loan status. It's a complicated issue, and one we're happy to dive into today. According to the Association of American Medical Colleges, over 80% of medical school graduates leave school with debt. The median amount of education debt carried by U.S. medical graduates in 2015 was over $180,000. This is significant but surmountable, given the salary of a physician. However, the bigger Caribbean schools do not leave students with an average amount of academic debt. In fact, they can leave them repaying nearly twice as much. They also force students to deal with high attrition rates, 300+ member starting classes, and a sink-or-swim approach to both basic sciences and clinical rotations. The question, then, is this: is the greater cost worth it? Do you truly "get what you pay for" in that environment? Or is there a better option? One that also has a demonstrably better dedication to your future? Financially, culturally, academically, and professionally? We think so. 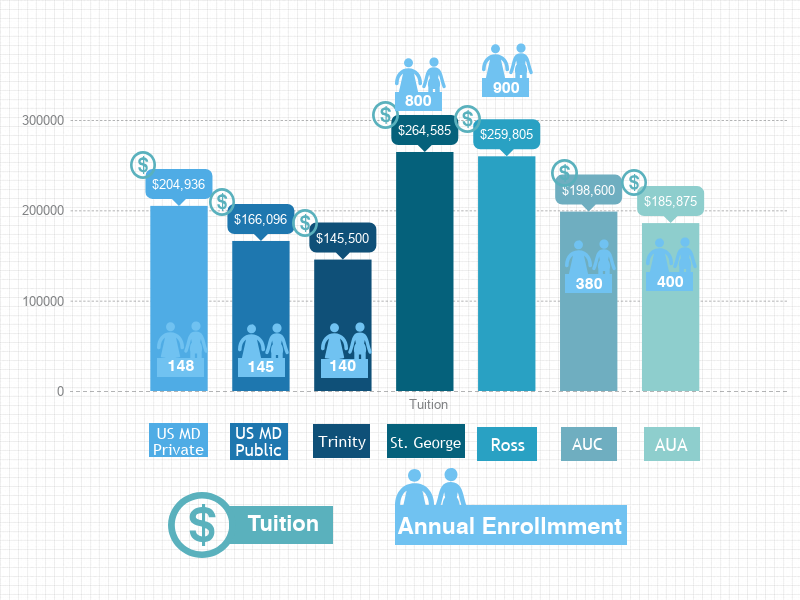 And it shows in tuition, outcomes, and ROI.